Greetings guys! I'm really excited today because this is a post that's going to help a lot of ladies out. Beginners to experts in this nail game are always looking for and trying new nail care products. I know that has been a constant case for me in the last year. This is also a little something I have been testing and trying out over the last month and a half. It's a little bit of a different type of review and post than I have done in the past.. For the whole month of July and till now, I've been testing and using the ND Lacquer Essentials Set. This 4-piece set includes cuticle oil, base coat (5-free), peel-off base coat, and a shiny top coat (5-free). I'll be covering my opinion on each but it's important to remember that what works for me, may not necessarily work for you. Note: Please excuse my ring finger in the photos below. I'm aware it looks a bit odd and I do call it my little Frankenstein nail haha. Also, fair warning, this is an extremely detailed and lengthy review! There was no Photoshop editing done to these photos besides the addition of a watermark - that's it. 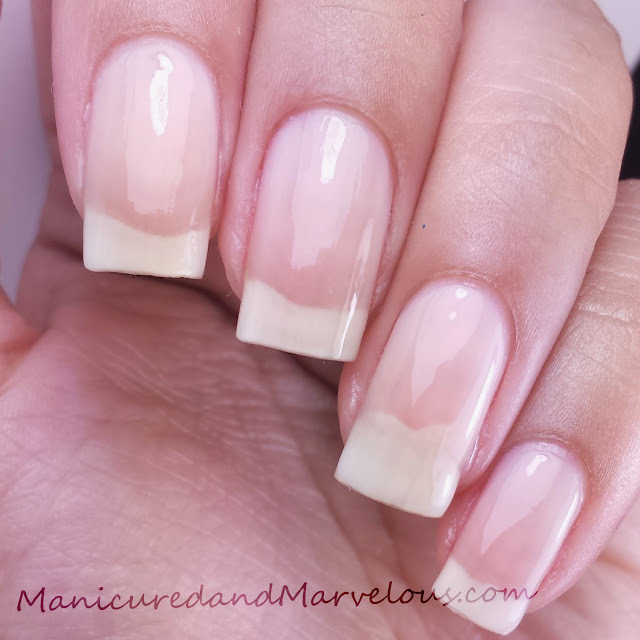 These are my natural nails with the use of the ND Lacquer Essentials Set. Now let's take a look at each one of the pieces from the ND Lacquer essentials collection. 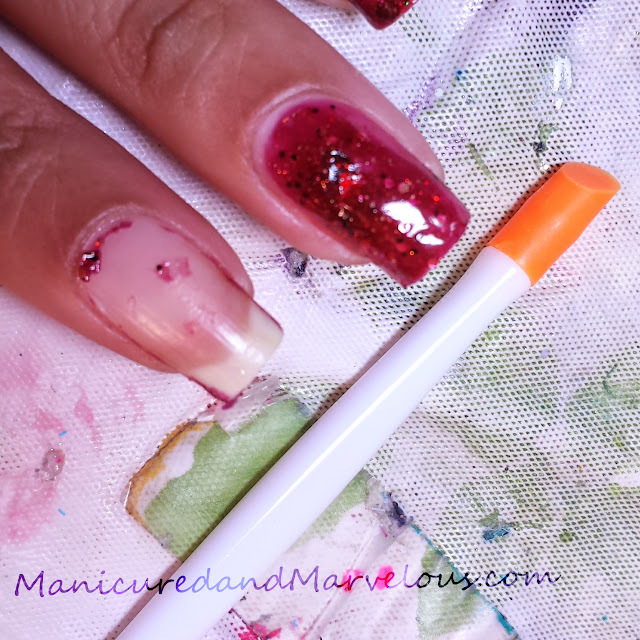 Prior to receiving this base coat I was using Island Girl and Essie Rock Solid in rotation. I have to say in comparison to those brands, I'm really satisfied with the ND Lacquer base coat. While the milky base isn't entirely for me, it still has a superior application than the others mentioned. The milky consistency for this base coat is really intended to be as a ridge-filler. With that purpose in mind, I do like to use it every once in a while for certain kind of manis. Now the drying time for this base coat was definitely fast. One thin coat dried in 30-40 seconds and I was ready to proceed with my nail designs. The longest I was able to test the base coat out with a manicure was three days. Within those three days, I did not experience any peeling or cracking. The manicure definitely lasted well, however, it should be noted that I do not submerge my hands in water that often throughout the day. Again, I feel this isn't going to appeal to everyone but for those looking for a milky base coat this would definitely be my recommendation. 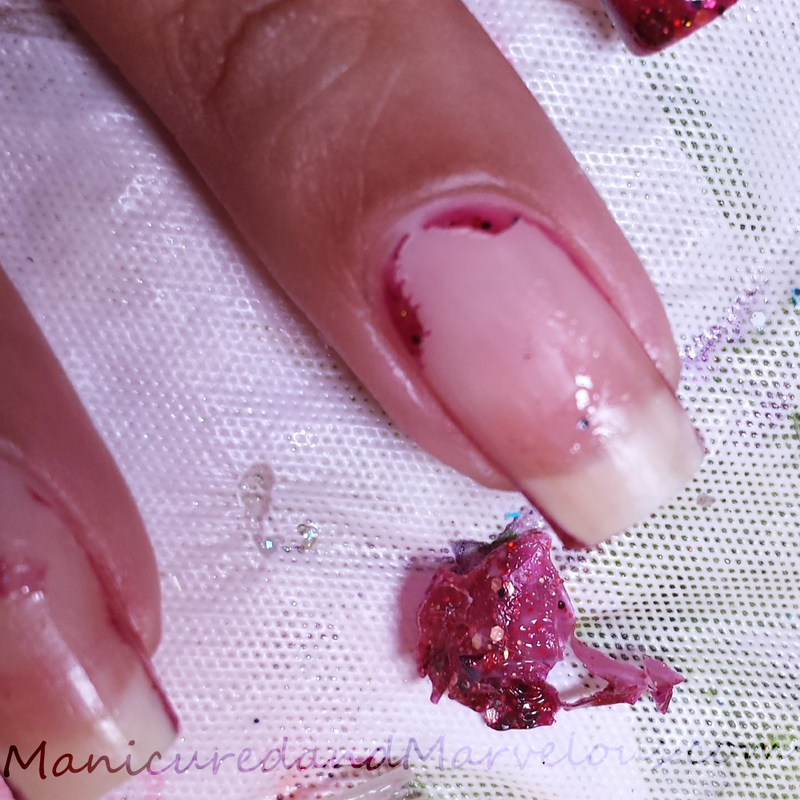 One of my most common questions is 'How do you handle taking off all that glitter polish?'. It's seriously the nightmare of all polish lovers because we have all been in that position where we are dunking our fingers in acetone for what seems like forever. This is definitely one of my handy tools: Peel-Off base coat. Yes ladies, the answer to your nightmares has materialized haha. The only peel off base I have used in the past is the OPI Peel Off Base and I do like the ND Lacquer base a bit better. The major difference between the two for me was the overall dry time. OPI can take a very long time to dry (I've heard of ladies having dry times of 10 minutes) but the ND Lacquer was dry within two - three minutes. Manicures with the ND Lacquer peel-off base lasted three whole days intact, without any cracks whatsoever. It definitely peels off well without damaging the nail too. For an easier time removing, I definitely had to apply two coats rather than one. 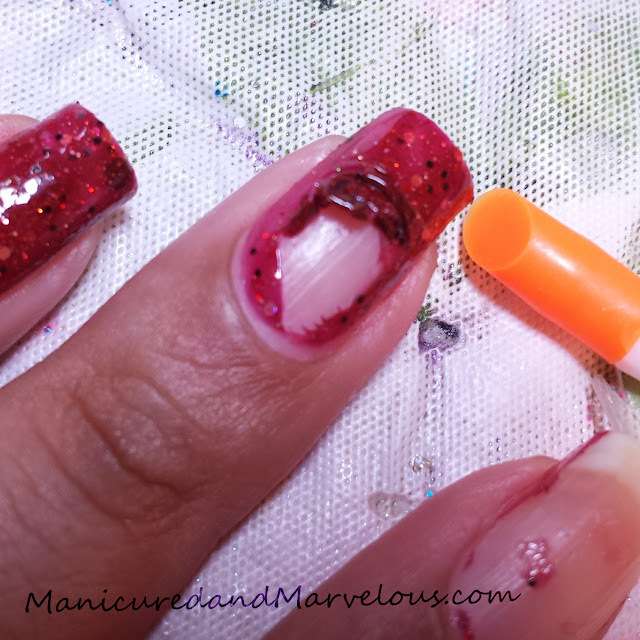 The one thing I’d like to change about this base is that sometimes I would get little chunks on my nail. Below you can see how easily glitter polish confess off and almost fully intact. I know jaws are going to drop to the floor, but prior to this experience I have never used a cuticle oil on a regular basis. 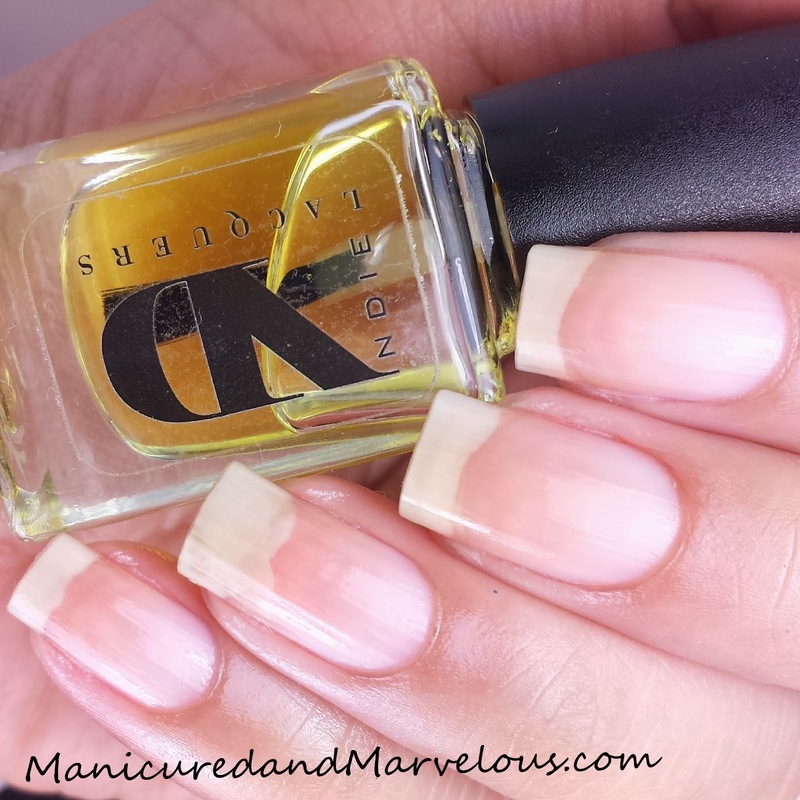 Before July, I would normally use cuticle oil one every other day or between manis or swatches. Oh but how the times have changed because this bottle is now in my bag with me at all times. My routine consists of applying this once in the morning, some in the afternoon, and a little bit more before bed. When I'm swatching, I'll apply a bit in between each and every swatch. Ever since I started with nail art I've always had these terrible hard and dry areas around my cuticles and within these two weeks they had almost disappeared entirely. 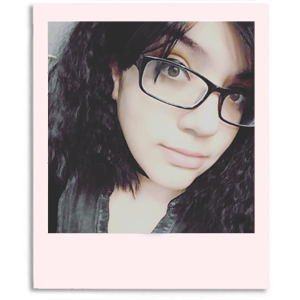 I can see the softness in person and in photos, I've had to do almost no retouching to my photos for the last week. Now a big hit or miss with me has been the smell of a cuticle oil. At first I was expecting something fruity or sweet smelling, but ND Lacquer cuticle oil has a natural oil type of scent. The scent was very appealing to me, mostly because it isn't overwhelming and feels refreshing. Within five minutes, the oil is completely soaked into my cuticles without even having to rub it in. When I do rub it in thoroughly, the oil is soaked within two-three minutes. This was by far the best part of the essentials collection and it really suited my cuticles extremely well. Two weeks of usage and I definitely see/feel the difference, below you can see before and after shots. 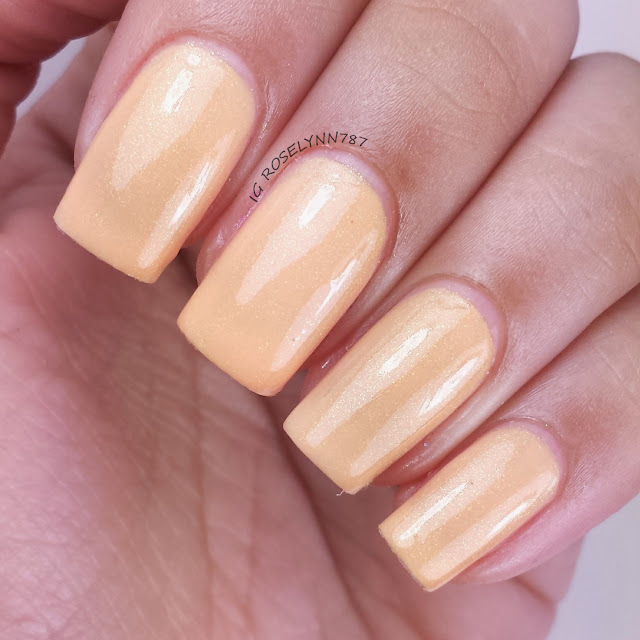 Compared to my every day topcoat Sally Hansen Triple Shine Topcoat, I found the ND Lacquer Topcoat to have a quicker dry-time and less thickness. I also experienced less smearing than my normal topcoats I use regularly, which is very important for my nail art. Two thin coats of this topcoat and it dried in three and a half minutes. I tested a manicure with the ND Lacquer topcoat for a maximum of three days. At the end of the 3rd day, I was more impressed than I thought I would be. There was minimal tip wear, still had some shine, and no chipping anywhere. Unfortunately, three days was the longest I was able to test and to be fair I don't do a lot of work with my hands. I wish the ND Lacquer topcoat had a stronger overall gloss and shine. In comparison to leading brand topcoats, this one really falls flat on shine after the first day of wear. Also by the second week of constant use the brush was becoming weak. At one point in my testing, the brush became completely bent and I had to bend it back in place. But please keep in my mind, I'm doing my nails about six times a day every day and that's a lot of wear and tear in a month. 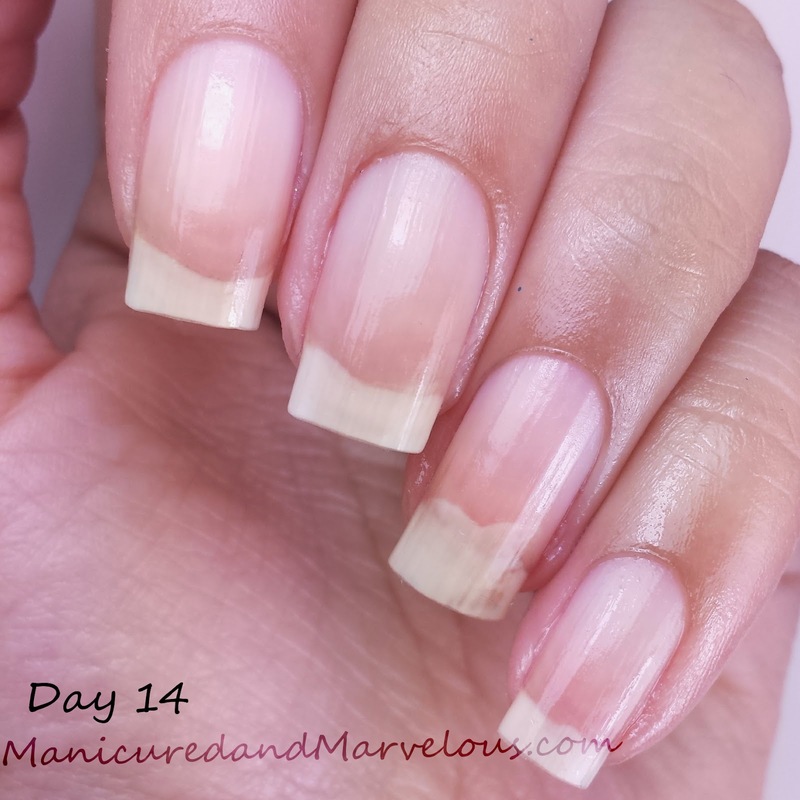 In the month of July, I used this topcoat for every single one of my manicures so you can go back and check out the results there as well. 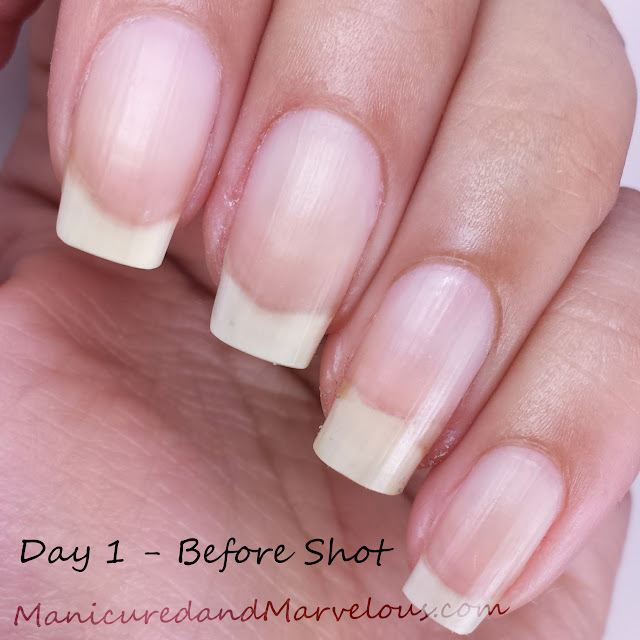 Overall, I would recommend this topcoat to those of you who might be having a hard time finding that 'every day' simple topcoat that you need. The ND Lacquer Essentials Set will be releasing on August 31st. I know this post was extremely long but there was a lot of information I wanted to make sure I covered. As I said before, what worked for me may not work for you. Our bodies are different and have different reactions to the products we use. That being said, I do hope this has helped anyone wondering about nail care products and what to use. Out of all of these products covered here today, the cuticle oil is by far my favorite and the one I will continue to use. I am actually almost out of the bottle I was provided and plan on ordering more once the collection goes live. Please free feel to leave any questions or concerns down in the comments section. Love you guys and I'll see you tomorrow.